Modern car dent removal has come a long way over the past 50 years, and many motorists today are unaware of its true range of benefits. Paintless dent repair, for example, relies on specialized techniques and precise movements to effectively buff out the damages for long-lasting results. If you’re interested in learning how your vehicle or fleet can benefit from paintless dent removal, the team at Dent Authority, Inc. is here and happy to help! For years, we have delivered paintless dent repair services nationwide to retailers, dealerships, body shops, and private drivers. Our team has the tools and training to deliver amazing results that you will have to see to believe! Paintless dent repair is a valuable service, but one that comes with many questions. 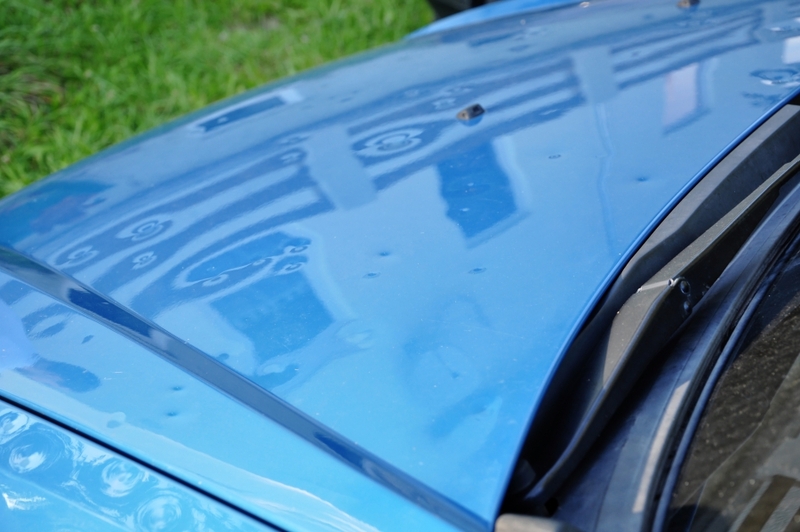 Today, we’ll highlight a few of our most frequently asked questions concerning our dent repair methods, as well as the value that Dent Authority can provide for any customer after a hail storm. Be sure to contact us when you are finished going through these questions to receive your free estimate! The first question we receive when people call us is: “What is paintless dent repair?” This car dent repair method aims to gently buff out dents without damaging the paint on the surface. Our PDR pros can assess your vehicle and apply precise massaging techniques to coax the dent back to its original form, avoiding further damage to the paint or metal beneath. Can PDR Damage My Paint? As the name implies, our team strives to deliver high-quality hail damage repairs across the country that leaves your paint intact. Modern factory paints are made to be flexible, retaining their form before and (often) after impacts. Our mobile dent repairs will restore the shape of your surface while keeping the paint intact. Can Any Dents Be Fixed By Paintless Dent Repair Return? 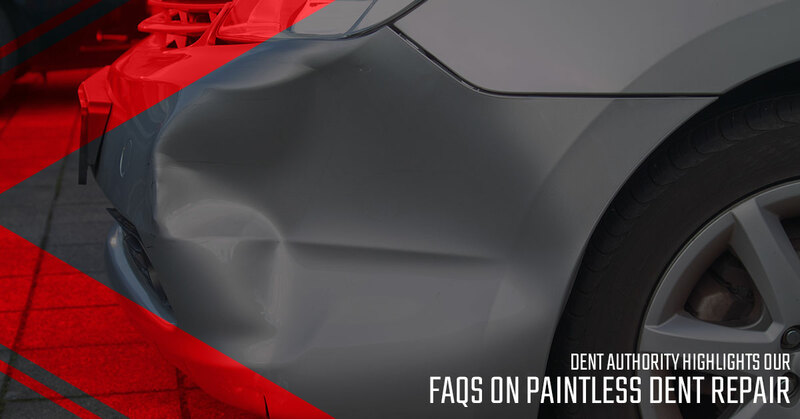 One concern addressed by our team is whether the dent repair is permanent or not. The answer is yes, it is permanent! Traditional dent repairs rely on filling, sanding, and painting to create a seamless result, but after a few months, the work may begin to show. PDR is a cost-effective way to provide permanent results. Will I Be Able to See the Dent Afterwards? Based on the severity of the damage sustained by your vehicle, you will likely not be able to notice any indications of repairs once we are done. Deeper dents will require more effort to remedy and may result in a surface that is slightly deformed compared to the rest of the vehicle. If there are any issues with your paintless dent repairs, our team will work with you before starting to ensure you understand what you are signing up for. Is PDR Covered By My Insurance? In most cases, yes! Dent Authority, Inc. takes pride in our work, and our professional team will examine your vehicle and develop a car dent removal plan before contacting your insurance company. We’ll send the claim and work with the insurance providers ourselves, saving you from the stress of playing phone tag. How Do You Inspect for Hail Damages? Most insurance providers are busy, and will likely inspect your vehicle outside under natural light. While convenient, this action can overlook a lot of the damage, resulting in lower estimates for the damage. We provide a detailed inspection under special lighting to find any and all hail damage, giving you a perfectly accurate assessment. Can Your Mobile Dent Repairs Be Used At My Dealership After a Hail Storm? Yes! Dent Authority will be able to travel to your location after a heavy storm to take fast, precise actions. Our team will work to immediately repair any units that are sold and ready to deliver. We’ll also work with your insurance provider to capture an accurate cost of the damages. Our speed and accuracy serve to keep your business in top shape and thriving, even after the worst weather! Can PDR Fix All Dents? Unfortunately, no. Paintless dent repairs are ideal for numerous types of dents, but the depth and location of your damages will play a major role. In most cases, our ability to restore your surface will depend on the integrity of the paint and metal beneath. Twisted, deep gouges will likely be untreatable, as well as damages on the very edges of the surface in question. Dent Authority will be able to provide clear answers, so be sure to contact us to schedule your consultation! Is PDR Worth the Cost? Dent Authority, Inc. is proud to serve as your mobile source for paintless dent repairs nationwide. Our team is trained to provide fast, effective results that will meet or exceed your expectations. Contact us today to learn more, and be sure to request your estimate! ©2018 Dent Authority Inc.® l All rights reserved.